Recite our poem to be in with a chance – #minichallenge20 is open to all! 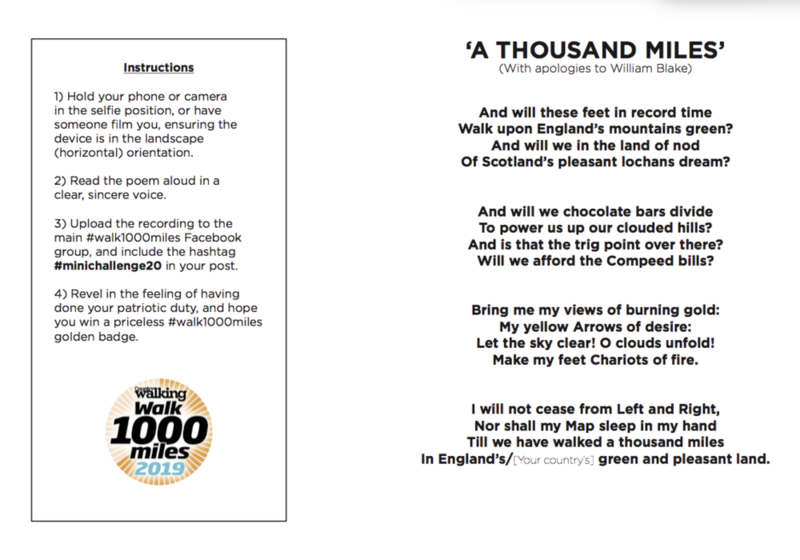 We’d like to make a video of 1000-milers reciting what we’ve just decided is the Official Poem of #walk1000miles. And if the words sounds familiar it’s because it’s based on the stirring original by William Blake. We hope you’ll find it fun to do – in spite of being a little embarrassing. We don’t need you to be a professional voice-actor or to do anything fancy – we really do want your contribution. The text of the poem appears below, but if you click the pic you can download a printable version, complete with instructions. 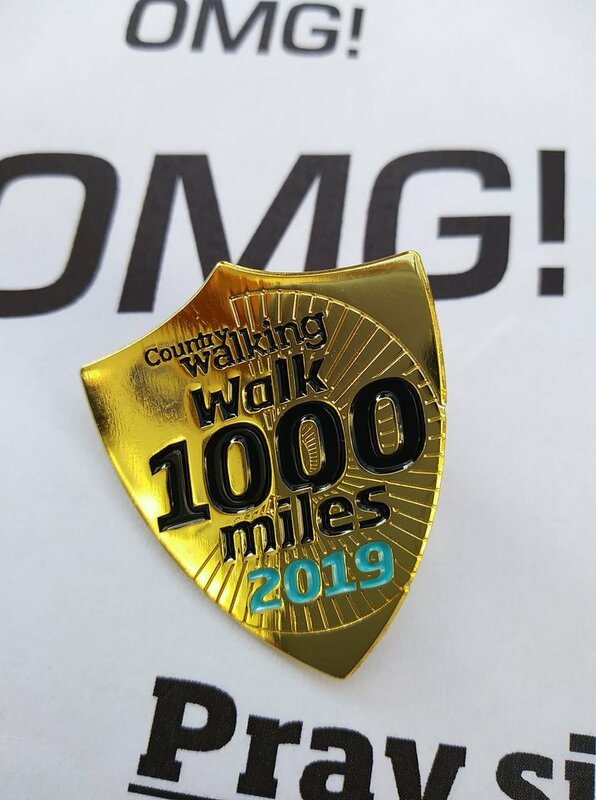 Unusually for a #minichallenge, which are normally open only to readers of Country Walking, the official mag of #walk1000miles, #minichallenge20 is open to everyone – and there are four priceless Golden Badges to be won by submitters. Just how good does my reading voice need to be?